Acute Tear: An injury caused by a fall on your outstretched arm or by lifting a heavy load, perhaps with a jerk may cause a tear in the rotator cuff tendon. Stress: Repeated use of the same muscles, such as in sports like cricket, rowing or baseball can put you at risk for rotator cuff tears. Irregular blood supply: If the blood supply to muscles or tendons reduces they may deteriorate causing a tear in the rotator muscles. Pain while lifting your arm or lowering it. Or pain / discomfort in specific movements. Pain at rest, especially when lying on the affected side at night. If the rotator cuff injury has been caused by a fall or accident, the patient tends to feel a snapping sensation and sudden intense pain in the shoulder. However, if it is a degenerative tear, patients are likely to feel a mild pain at first that slowly intensifies with time. How can a rotator cuff injury be treated? For muscle injuries like rotator cuff tears, recommended treatment may be different for different patients. Doctors consider factors such as age, activity level, general health and the type of tear before prescribing a treatment. Usually, non-surgical treatments are recommended; they include rest, anti-inflammatory medication, physiotherapy, modifying activity pattern and steroid injections. 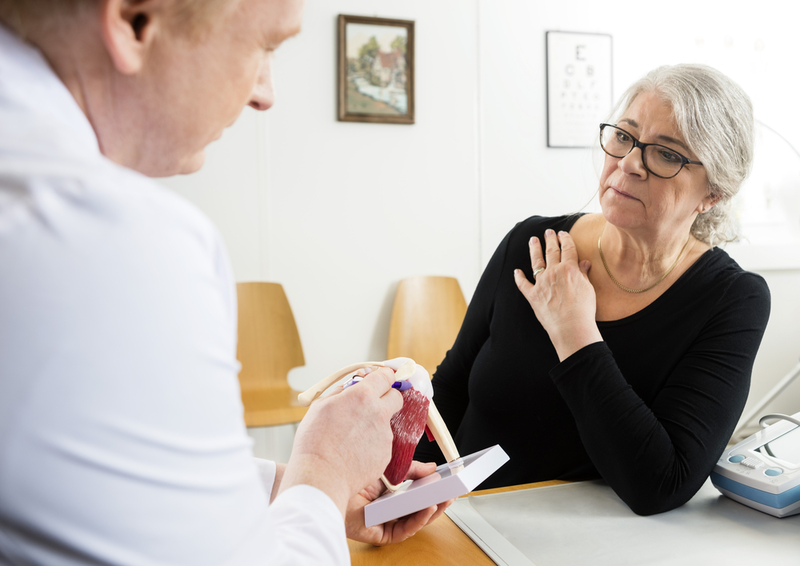 The point to be noted here is that chronic shoulder pain should not be ignored for long periods of time as it may aggravate the injury or disorder in the muscles. If the treatment begins on time, a simple routine of physiotherapy may help the patient return to their daily tasks in a short time. Uteshiya Medicare is a supplier and manufacturer of premium quality trauma implants and orthopedic implants in India. For many years, experts at Uteshiya have developed affordable and high quality orthopedic implants to help doctors treat injuries caused by trauma and other orthopedic disorders. Apart from knee and hip joint replacement, Uteshiya Medicare is a leading name in spinal implants, trauma implants, sports medicine and many other orthopedic implants.